The canyon’s annual average number of visitors is up two million since 10 years ago, and that number’s going to increase even more with the Centennial this year. So though those South Rim views will remain otherwordly, you might have to deal with some serious crowds during your trip. Or … you might not. There is another, loftier way to catch America’s most famous natural landmark this year. Enter: All in Aviation. A flight school with two home bases in Nevada — one just off the Vegas Strip, the other 15 miles southeast of the city in Henderson — All in Aviation offers private training sessions that fly directly over the Grand Canyon. The school specializes in lightweight Cirrus Aircraft, which are built with composite materials and all-glass cockpits. 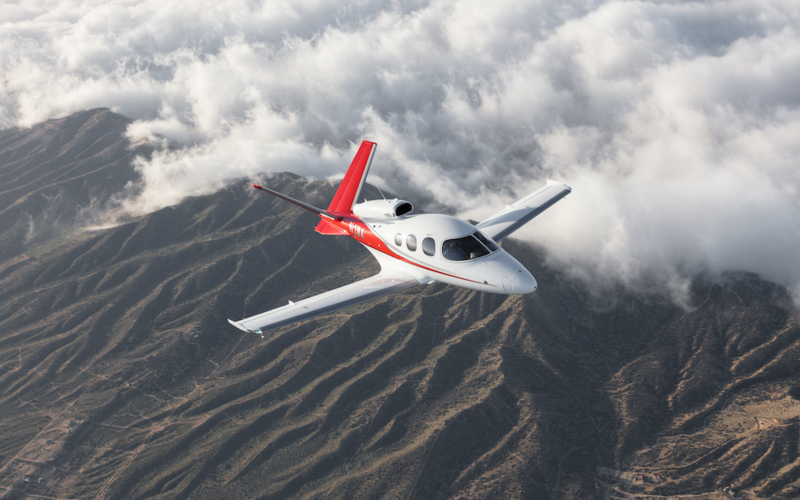 All in Aviation owns six such planes, including the 2018 SF50 Vision Jet, a “personal jet” with the capability to hit 300 knots, and room for five in plush leather seating. That’s the jet you’ll be flying over the Grand Canyon, as part of All in Aviation’s Southwest Wonder tour. No prior experience necessary, though, so don’t worry. They have simulators in their facility, and once you’re in the air (alongside a certified co-pilot who knows his way around the skies), the plane can just fly itself. That leaves you and a few free-loading friends the chance to take pictures of the Grand Canyon, along with Red Rock Canyon, Valley of Fire, Lake Mead, and the Hoover Dam. For more information on booking a session, including rates for each session, head here.